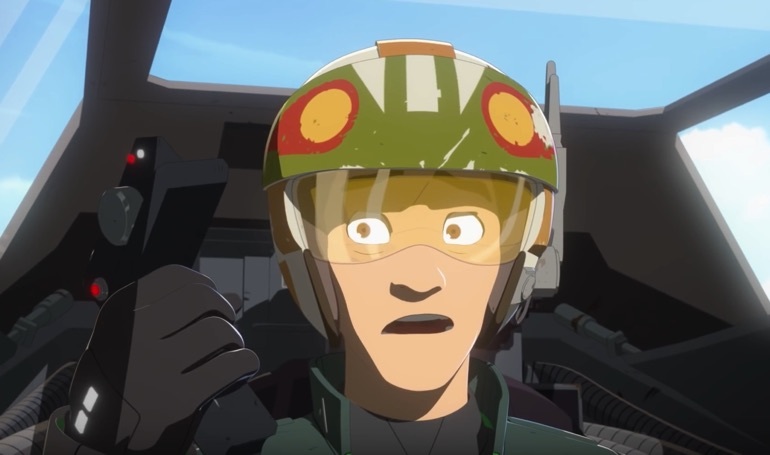 Three new Star Wars Resistance shorts have been released, and each tells its own little story, which is a bit different from the previous shorts. In the first one, Kaz is tasked with watching Torra’s pet Buggles, who is like a cat with bird legs. Kaz quickly finds out that watching pets isn’t as easy as it looks, especially ones that can fly star fighters. In the second short the Aces take center stage. An incoming fuel frigate is damaged from a pirate attack, so the Aces must work together to stop the ship from crashing into the Colossus. Find out if the Aces can pull it off below. In the final new short, Kaz and Torra have a bit of a rematch. If you’ve been watching the show, then you know these two raced against each other in the pilot episode, so this short is a follow up to that race. Of course, with Kaz involved something is bound to go wrong, so find out how he screws up below.